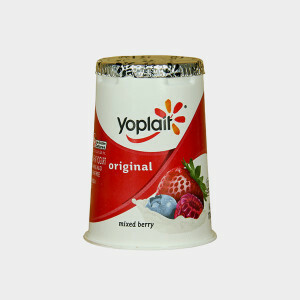 It’s best practice to get your yogurt container as clean and dry as possible before recycling it. Yogurt cups are a common contaminant and often end up in the landfill when not clean. Give your plastic #5 yogurt tubs to Gimme 5, a program dedicated to offering plastic #5 recycling to areas that do not accept it. You can print out a label and send in your containers (at your own cost), or find a drop-off location close by.